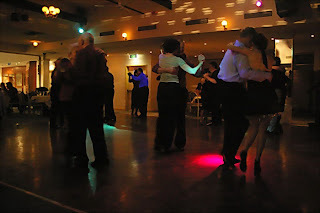 It was the music that got me into tango - my first experience of a live tango orchestra was at WOMADelaide some years back when they had a tango quartet (which they have never had again, to my great dismay - but that is another story). Today I am putting together the playlist for the next Milonga de Mis Amores. Since doing my first playlist over a year ago I have learnt so much. I am so grateful to Sydney DJ Geoff and Melbourne DJ Nadim for their advice and support as it really got me started on understanding what a playlist is all about and how crucial it is to the success of the night. Just a quick link to the TangoAustraliawebsite... if you are a dancer and in Sydney over Christmas we'd love you to come to the Milonga de Mis Amores at Gladesville... email me (angelina@tangoaustralia.com.au) and I'll send you the details. We came to tango at a difficult time in our lives. The business that we had built up over a couple of decades had been lost in a nasty take-over and it looked like we could lose everything. Tango was a great outlet. We would go to classes (at that time there was really no choice for the non-Spanish speaking would-be dancer which was fortunate because we learnt from an amazing dancer and teacher, Daniel Mahni)and to an occasional milonga, where we would hang out with people who knew nothing about our other lives. We have made some very good friends. Dancing tango and listening to tango music are like the meditation that comes with yoga breathing control (pranayama) which was the other outlet we found at this time. They enable me to get lost in the moment and to come out refreshed and ready for whatever comes next. We have just emailed a sales letter to the Tango Schools around Australia inviting them to list their school in the Directory of Tango Schools... still waiting. Have had one response from 60 schools, though I only sent it out last night. We often get emails asking where the nearest tango school is, or can we recommend one. 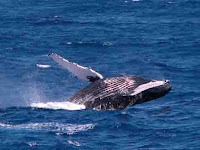 We don't, if we have time in the past we have sent a list of nearby schools, but this is now getting too time-consuming. It would be so much simpler if the would-be tango student could simply check the Directory and contact the school they liked the most! 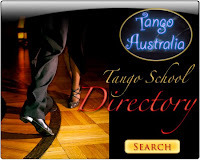 Meanwhile I have added a follower's widget to this blog - if you write a tango blog or have a tango website do tell me (angelina@tangoaustralia.com.au) about it... and I hope you will follow this one. best things was watching the Youtube clip where Cloris gives judge Carrie Ann Inaba, a bolshie 40 year old professional dancer and choreographer, as good as she gets. Sadly Inaba seems to think the program is about dancing, not entertainment. Not only has Cloris got America talking about her abilities and raunchiness, it has brought in work. Mel Brooks reportedly phoned her and asked to come to Broadway and take over a role he had decided she was too old to reprise in Young Frankenstein.